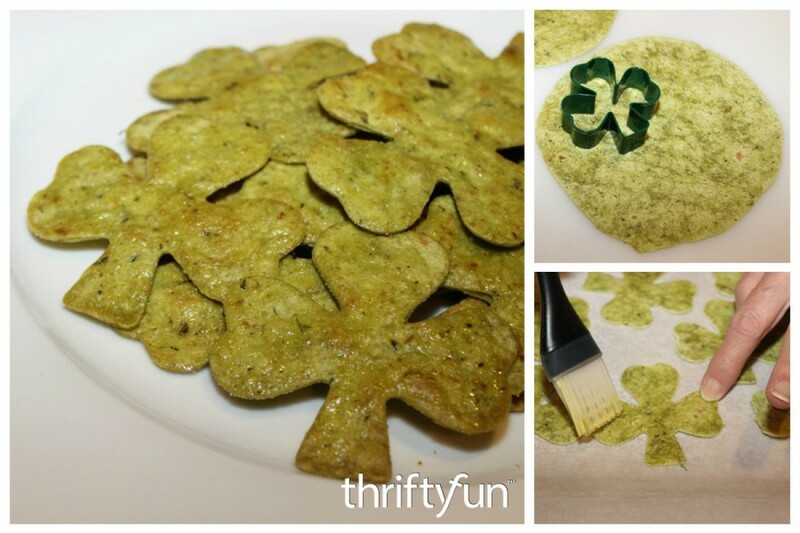 Festive chips can be cut for St. Patrick's Day to serve with your favorite dips. This guide is about making shamrock tortilla chips. I would hide one with four leaves among the others for good luck to the guest who will find it.